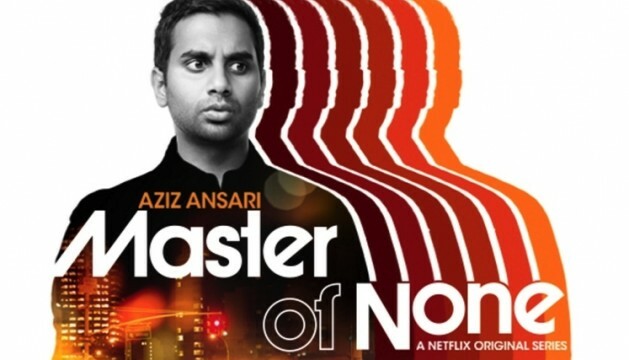 A couple of days ago, Black Girl Dangerous posted an open letter to “Aziz Ansari and other anti-black people of color,” in which the author states that Ansari and his co-writer(s) espoused anti-black rhetoric in a scene of the “Indians in America” episode of his Netflix show Master of None. I finally watched this episode last night, and while I agree with the author on some points like the absolute importance of non-Black POC to fight anti-blackness in our communities’ and to stand in support of and solidarity with Black people, I disagree with the author’s assertions that Ansari’s character Dev was being anti-black. In her critique of these scene, the author of the letter said it reminded her of an instance in which she and a non-Black man discussed #BlackLivesMatter and their protest tactics. Not that she needs a random person like me to verify how she should feel in that instance, but it certainly seemed like a clear case of non-black people intentionally speaking over and silencing black people, and of men speaking over and silencing women, particularly in this case because they were discussing a topic with which she probably has more experience as a black, queer Muslim woman and a participant in the protests. This type of silencing of people who have much at stake is common, even in activist communities. But in the episode’s scene in question, the characters of Denise and Dev are in fact having a valuable discussion. In the context of the scene, Dev is speaking about the lack of public support and visibility for Indian people compared to other minorities, a topic one would think he has some authority to speak about, as an Indian-American man working as an actor. To me it just seems like Denise, as his good friend and a fellow POC, can see where he is coming from, can get that this invisibility is unique to Indian/South Asian people and that his frustration is legitimate. Dev doesn’t “shut her down and make it about his own community’s lack of visibility, as if it is Black people’s fault or responsibility” in expressing his frustration. The original topic of conversation was in fact his own community’s lack of visibility (to make it about Black people would have kind of derailed it), and if the blame is placed on anyone’s shoulders as this episode progresses, it clearly seems to be on the shoulders of white producers and decision-makers that limit the quantity and quality of representations of people of color in the media. Time and again, this is presented as a structural, industry problem in which white people are mostly the gatekeepers of representation, and never is fuller representation of one minority presented as in opposition to that of another. I never got a sense that anyone was fighting over crumbs. In a show that is shares topics with his stand-up comedy and is based on his life experiences, Aziz Ansari and his team provide one of the few representations of Asian-American people that isn’t based on white media-makers’s fantasies and stereotypes. Though ultimately fictional, the show contains elements of Ansari’s (and his co-writers’) real life, not the least of which is in the episode “Parents” that co-stars Ansari’s real parents and contains a dramatization of their ‘immigrant experience.’ I can only hope that the thoughtful, funny and fresh yet relatable characteristics of the show is indicative of us inching ever towards actual diversity and creative control in front of and behind the camera. I’d, of course, like to see this more for other minorities, racial and otherwise. Latinxs have made a lot of progress with shows like Jane the Virgin and Cristela, but we have a long way to go. *Also, RIP James Baldwin, who passed away 28 years ago yesterday.